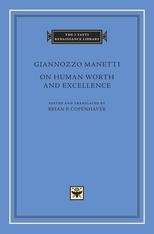 Giannozzo Manetti (1396–1459) was a celebrated diplomat, historian, philosopher, and humanist scholar of the early Renaissance who mastered ancient Greek and Hebrew as well as classical Latin. In this treatise, dedicated to Alfonso of Aragon, King of Naples, Manetti addresses a question central to the anthropology of the Renaissance: what are the moral, intellectual, and spiritual capabilities of the unique amalgam of body and soul that constitutes human nature? The treatise takes issue with a popular work of medieval asceticism, On the Misery of the Human Condition, written by none other than Innocent III, one of the greatest of medieval popes. The pope’s diatribe expresses a revulsion against human nature and argues for the futility of ambition, the emptiness of pleasures, and the ultimate worthlessness of human achievements. 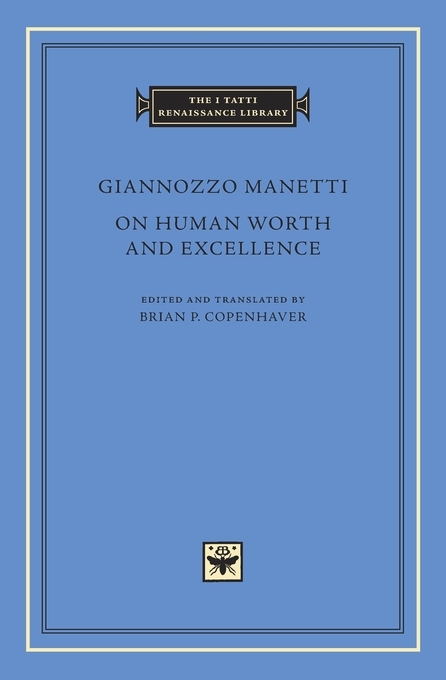 Manetti’s treatise presents a comprehensive refutation of the pope’s pessimism, sometimes citing the achievements of the Renaissance as evidence for the potential divinity of human nature and its extraordinary capabilities. This edition contains the first complete translation into English.